This children's session is for one or two children and each of them wearing an outfit chosen out of my wardrobe of clothing and accessory options. There is a huge array of outfits and accessories to look through from boutique dresses to adorable velvet blazers and suspenders. If boutique dresses aren't your little ones style then I may have something else that they'd like to wear like cute leopard print capris or bootleg jeans that may do the trick. These are the very same pieces that I allow other photographers and parents to rent from me for a fee but you will get to use as part of this styled children's session. Please keep in mind that it may be necessary for you to add your own items to complete the outfit you have in mind or if you have something else you'd like to use that I don't offer. Just know that you can find a nice collection of beautiful items to choose from through me if not. * A 30 minute try on session/consultation, for up to two children, at the studio where your child(ren) can come in to try on different outfit options. 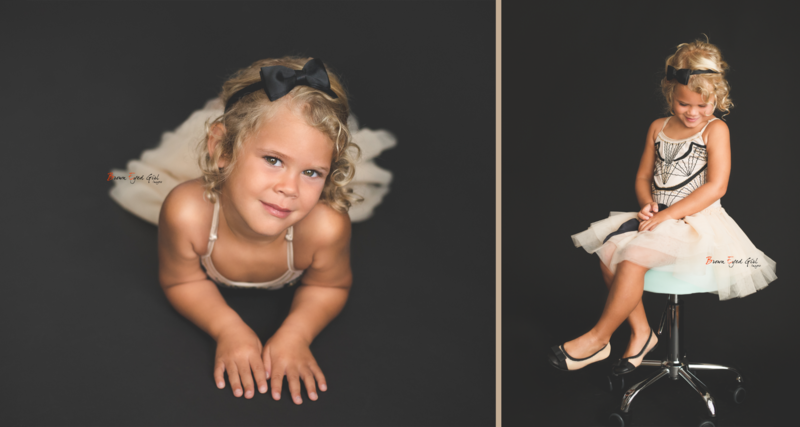 * 1 1/2 hour photography session either in-studio or on location for up to two children. * One 8 x 12 photo book which contains 10 images from session. Please note: This is a children's only session but if parents and additional children want to join in the session that is also an option for an additional $30.00 per person to the session fee. Please let studio know of the extra people when booking session.